Parliament has summoned the Defence and Interior ministers over Wednesday’s bloody clash between a group of soldiers and some police personnel in Tamale in the Northern Region. Mr Dominic Nitiwul and Mr Ambrose Dery are to appear before the House Tuesday morning to brief the legislators on the circumstances that led to the bloody clash and measures being taken by them to avoid similar occurrences in the future. Some police personnel who were on guard duties at various points in the metropolis sighted by the soldiers on their way to the regional police headquarters were also allegedly attacked by the angry military men. Mr Haruna Iddrisu, Minority Leader and Member of Parliament for Tamale South condemned the incident when he brought the issue to the attention of Parliament, and urged the Speaker Prof Mike Oquaye to invite the two ministers for the Interior and Defence to appear before the House and to brief them on what is being done to avert such acts which he said was not the first to happen in Tamale. “Mr. Speaker, I’m inviting you so that the Minister for Defence and Minister for Interior will be obliged to come before this House to assure the public that we are safe and secured and in particular, that the people of Tamale have no reason to want to live in fear and panic,” he said. Mr Iddrisu also stated that the security of the people remained a primary and secondary need of the peace and stability of every country, wondered why those who were to protect the citizenry were engaged in such bloody acts. Mr Iddrisu therefore urged the Speaker Prof Oquaye to “urgently request” the two ministers to “appear before this august House”. 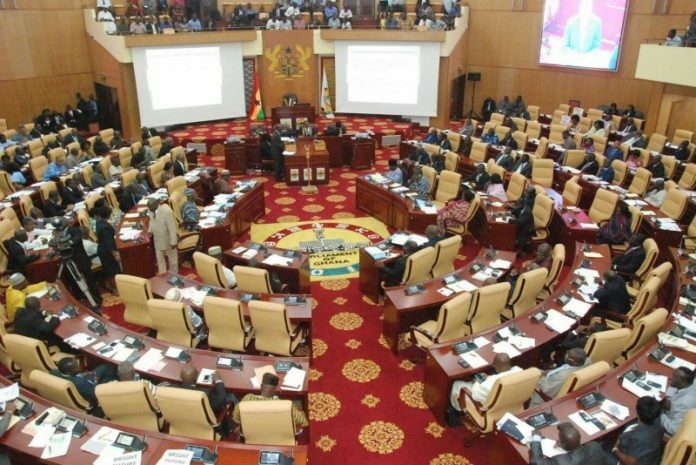 Sarah Adwoa Safo, Deputy Majority leader in her submission on the issue stated that the majority leadership was in total support of the Minority leader on the matter. She said every citizen of this country deserved the right to life hence it is disappointing to the people of Ghana that the security personnel that they had entrusted in them to protect and ensure law and order are rather at loggerhead. The Speaker Prof Oquaye obliged the request made by Mr Iddrisu and thus asked the two ministers to appear before the House on Tuesday. He said the two “should appear before this honourable House next Tuesday and apprise the house on these developments and measures being taken to arrest and prevent same ever occurring”.